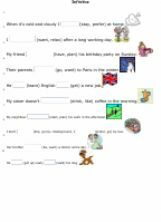 May be used for practising especially subject pronouns. Introduction for Dutch pupils level B year 2 to get to know a few words by spelling the words in English. it is for revision of sonnets. 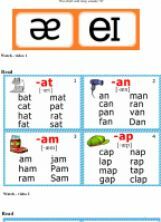 Read, Watch and make a exercises about phonetics the short and long vowels /a/. Personagens do livro conquista - Editora Positivo- 1� ano.